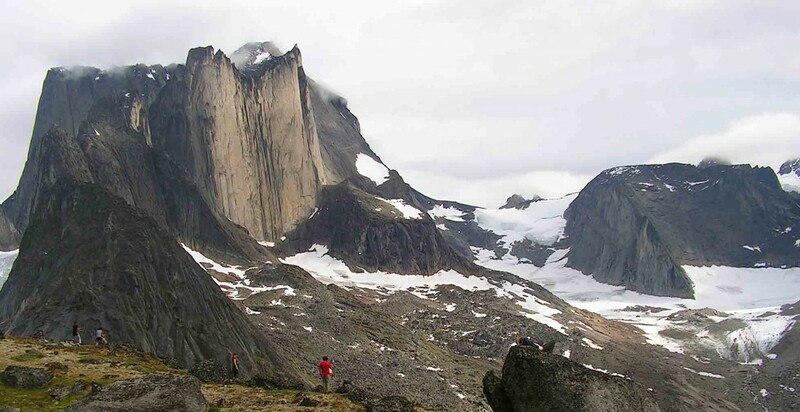 Considered as one of the ten wonders of the Arctic by Lonely Planet, Tasermiut Fjord is home to some of the best “big walls” in the world of climbing. During this trip, before reaching South Greenland’s largest hanging glacier, we will go on several treks to explore the valleys, untouched by man, and admire their 2,000 meter summits … what better way than by kayak to move through this impregnable landscape? Kayaking to explore as we want and an opportunity to go on the best treks this fjord has to offer. Excellent chances of seeing the Northern Lights in the last week of the trip. Helicopter flight. Visit the hot springs of Uunartoq and cities like Qaqortoq or Nanortalik. Viking ruins. Flight Reykjavík (Iceland’s international airport) or Copenhagen to Narsarsuaq. Reception at the airport and preparation of equipment needed for the trip. We will begin the navigation by RIB boat to Narsaq, which is the third most populated town in South Greenland and well worth a good stroll around: free time to visit the local market, fur shops, the harbour or the Greenlandic museum… Apart from being stocked with everything (second last chance to do some last minute shopping). Dinner and overnight stay at the Kayak Hostel. Boat transfer to Qaqortoq, capital of southern Greenland founded in 1775 and described as the most attractive town in Greenland. After stroll around in Qaqortoq (where you should not miss a visit to the genuine “Qajaq”club) we keep on sailing to the picturesque and isolated Nanortalik, the southernmost city of Greenland of about 2300 inhabitants. The route between Qaqortoq and Nanortalik is a maze of islands and isthmuses which somehow reminds us of Scotland, although here it is surrounded by icebergs. 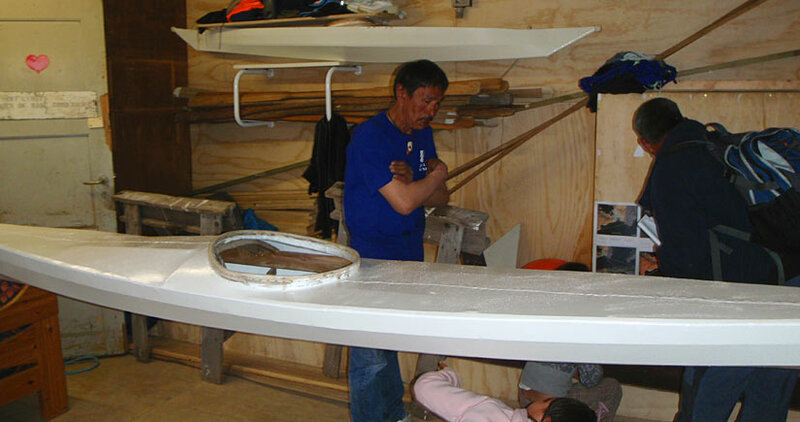 It takes about three hours with a refueling stop midway in the small, unspoilt whaling village of Alliutsup Paa. Dinner and overnight stay at the hostel in Nanortalik. After doing a final check of all the material, we leave Nanortalik by zodiac boat and head towards the small picturesque village of Tasiusaq and the farms of Saputit and Nuugaarssuk, before reaching our camp by the river Kuusuaq, barely 700 meters long but known to be the best salmon river in the area. 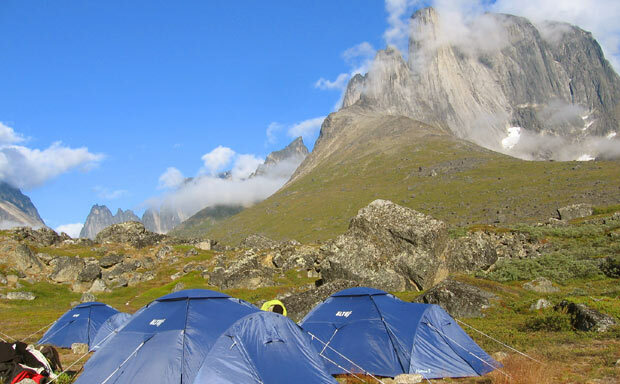 The camp is facing one of the few conifer plantations in Greenland. Our goal now is to explore the Quingua forest, the only indigenous forest in Greenland. This is a small set of dwarf birch (do not expect the jungle!) boxed in by 1,400 meters cliffs at the end of Lake Tasersuaq. To reach the freshwater we have to carry the kayaks for five hundred meters… It’s worth the effort! Back in the sea we begin the exploration of Tasermiut fjord itself. From here, the routes are flexible and the stages depend on the strength of the group and, of course, the weather. 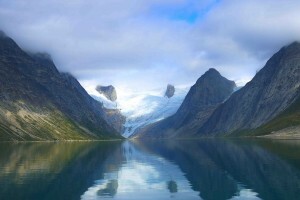 We start paddling along the eastern shore with its generous sandy beaches, towards the “Big Walls” of South Greenland: the Ulamertorsuaq (1830 meters, the Arctic version of El Capitan in Yosemite), the Nalumasortoq (2054 meters, is shaped like an open book in which two pages are 900 meters tall and with overhanging wall sections) and, finally, the huge granite pyramid of the Ketil (2,010 meters). To reach the base of these walls the treks are easy, about two hours long, and along the shore of the fjord we see ruins of Viking settlements, particularly striking being the Klosterdalen Monastery, at the mouth of the river that runs under the Ketil. At the bottom of the Tasermiut fjord another awesome sight from the kayak awaits us: the Tasermiut glacier, descending 1400 meters in just three km… it’s a hanging glacier! 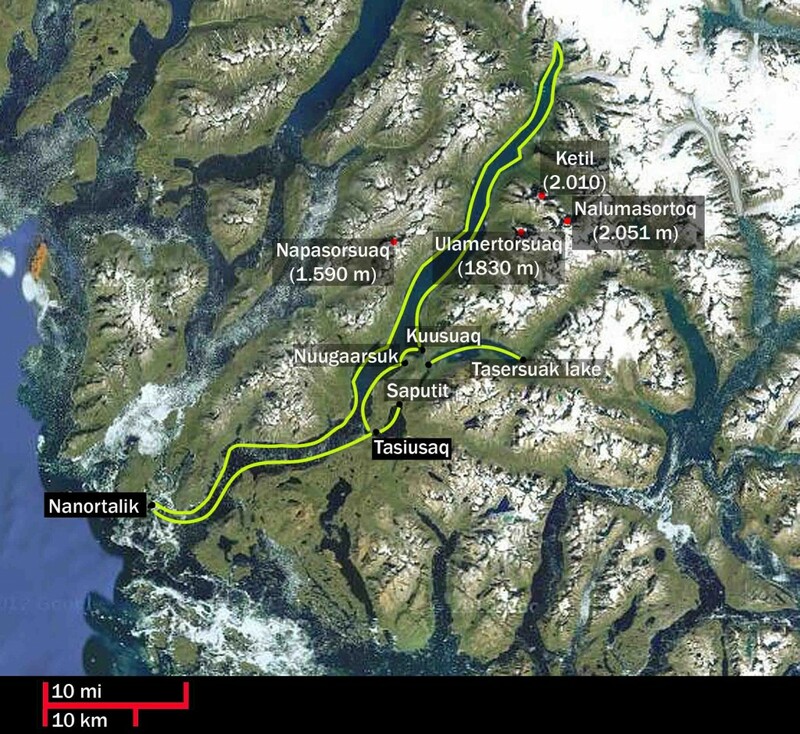 We now begin our return journey to Nanortalik (about 80 km as the crow flies) from the eastern shore of the fjord, again we are in an alpine landscape with a rest stop and a trek to the base of the Napasorsuaq (1,590 meters). Throughout the trip, apart from fish, we have enjoyed mushrooms and blueberries found throughout the Tasermiut fjord: an excellent complement to dinner! Either by our own means (rowing) or by previous arrangement with the boat via the satellite phone we make Tasiusaq and then, boat transfer to Nanortalik. 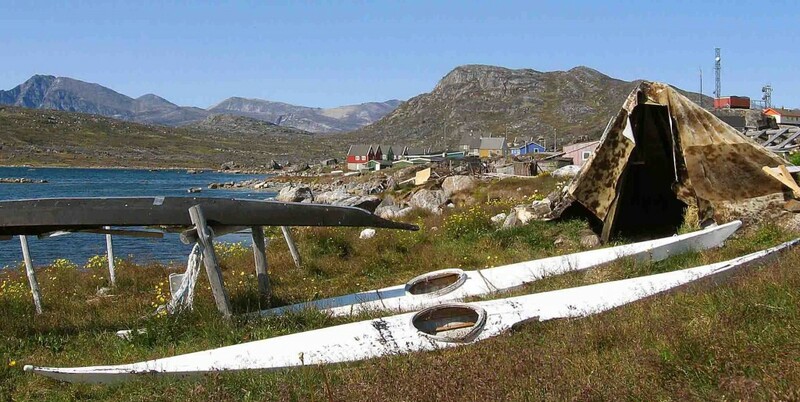 Besides strolling around and enjoying the colorful houses or shopping, we absolutely recommend visiting the Museum of Inuit culture, the most comprehensive in Greenland, with all kinds of ancient tools, house reconstructions, clothes, a traditional kayak section and exhibits on the traditional myths and legends of the Eskimo culture … there isn’t enough time to see everything! Dinner tonight, usually in a restaurant in Nanortalik, is not included in the trip. Anyway, it’s possible to cook in the hostel. Night at the hostel-home/hostel. Transfer by boat to Uunartoq island, where we enjoy food and a long and relaxing soak in the hot springs, with an amazing view of icebergs floating in the fjord. Then, we will pursue our navigation in order to get to Qaqortoq. Overnight stay at the hostel in Qaqortoq. After enjoying the views from the helicopter of the ice cap and the whole system of fjords (regular line) we reach Narsarsuaq and then the small village of Qassiarsuk. From there we start hiking towards Tasiusaq, populated by only three families who live on their farms throughout the year. It takes about two and a half hours at a comfortable pace through a unique environment, with a way up to a hill from which we see the Sermilik fjord filled with icebergs from the Eqalorutsit glacier. Optional: kayaking excursion among icebergs. Overnight stay at the Tasiusaq Hostel. Trekking way back to Qassairsuk, where we will do the visit of the Viking ruins of Brattahlid. In two hours we will hear the story of the arrival of Eric the Red from Iceland to this small settlement in 985, why it is called “green land” or why they established here the first Christian church in the Americas. Especially interesting is the reconstruction of a viking house (spacious but cold) and an Inuit dwelling (small but cozy), transporting us back in time to the harsh conditions in which these people lived and clearly shows how the Inuit were better adapted to widespread worsening weather conditions. Then we cross the Eriksfjord to Narsarsuaq Airport. After luggage check-in we recommend the visit of the Bluie West One Museum, a US base frozen in time since the Second World War. Flight from Narsarsuaq to Reykjavik (Iceland) or Copenhagen. Exploration. Medium level. Groups of 4-12 people. Unexpected expenses as a result of weather conditions (including difficulties due to ice or weather conditions) or flight or boat delays. Since the Tasermiut fjord is very sheltered and has beaches all along its shores, embarkations and landings will be particularly easy at all times. This, together with the stability of our double kayaks, makes previous experience in kayaking not essential, although desirable. However, skilled kayakers who know how to eskimo roll may choose to use a single kayak on this trip. From a physical point of view, the Exploration of the Tasermiut Fjord combines kayaking with fairly intense trekking, requiring some physical fitness or at least having a habit of countryside hiking to really enjoy the trip.